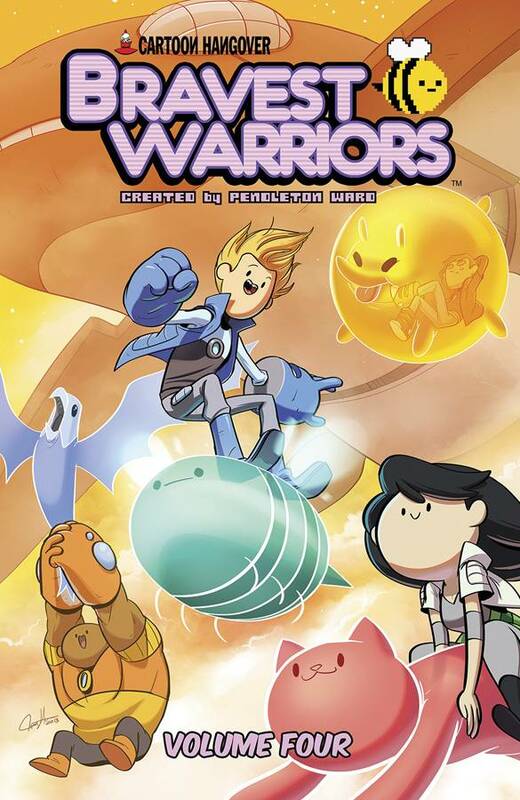 BRAVEST WARRIORS Volume 4 Is Available For Pre-Order! Ever wonder how the Bravest Warriors got their super rad Sticker Pets? Or what would happen if Chris’ Emotion Lord powers kicked in during a trip to the Dating Pool? Or what sort of trouble Wallow could find inside the Dream Dimension? Find out in these brand- new missions, written by Bravest Warriors showrunners Breehn Burns & Jason Johnson, Eric M. Esquivel (Loki: Ragnarok and Roll), and Tessa Stone (Regular Show: Hydration), illustrated by Mike Holmes (True Story), and featuring short stories from a handful of amazing artists including Three Word Phrase creator Ryan Pequin! Collects issues #13-16.